ALSO: note to my buyers- everythings been shipped! most went out about a week ago but the rest went out today, so expect your items soon! 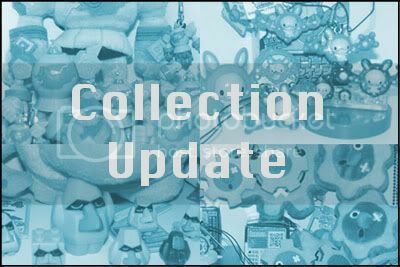 Hey everyone, I just realized that I have absolutely no Lumineon items in my collection. I adore this Pokemon and am wondering if anyone is selling any merchandise of him? If anyone is, please leave a comment or message me! 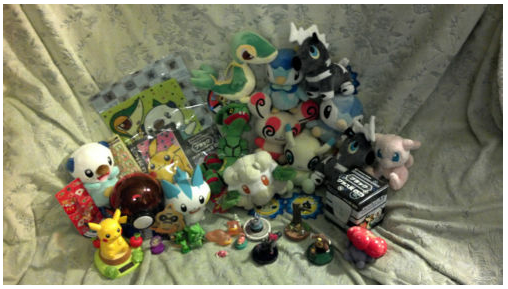 I'm not interested in cards though, just figures/plush/etc. On another note, I'm looking to start collecting 'kids' figures. If anyone is selling any for 1-2 bucks a piece, or in lots for 20 shipped, let me know! Quick Trade Post of Fun! Hello everyone, I'm 19 today! And to celebrate, I thought I'd leave a short trade post/want post here. I worked for a really long time and put all my effort into it, so I hope you enjoy it~! many have been asking for my final set of dreamy plushies. i was not sure what to do with them, but after some consulting i will put them up for offer starting at my previous price of 65$ shipped each. offers will end in 24 hours from the time of this post (11 AM January 6th, Tokyo Time). offer in the proper threads below! 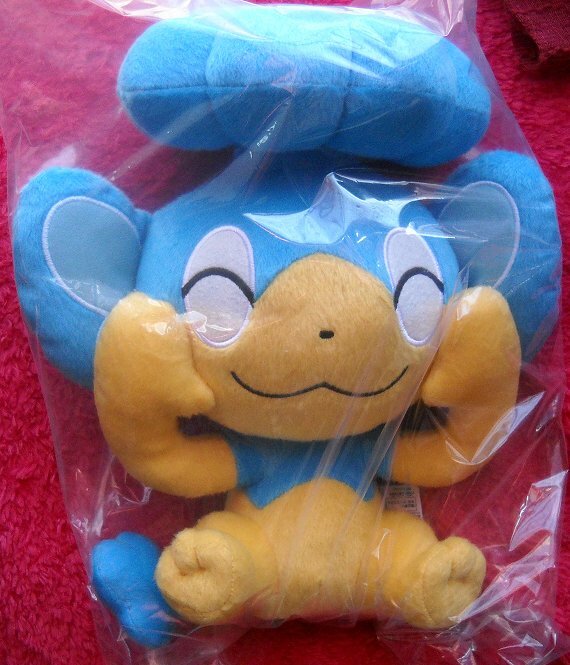 i also have this DX banpresto hiyappu plush for sale still. he's 30$ shipped! mint in a plastic bag! SOLD! and...by popular demand.... an army of TRUE LOVE??? Pichu + Pikachu charms for sale! Anybody interested in Pichu and/or Pikachu charm from the new series? They'd be only 5 dollars each + shipping. Here's your chance to get a charm without having to buy the whole set! Reflection on 2011 + special get! So, my fellow collectors, it's officially a brand new year! I only joined this community at the beginning of June, but it's already been 7 months. It's pretty hard to believe! I'm going to be a copycat now and show off my favourite collection items for each month of 2011 like bergunty did! That was really fun to do and I hope you guys enjoyed looking it over, too! :3 I'm already excited for next year, anticipating another one of these posts -- but with a full 12 months! Woo! Do you guys know how cool you are? Seriously. Sorry for the lack of communication on my part with these. I have nobody to blame for myself for that. 1z005r9a0349022377. I will be packing and weighing all these up the moment I can get to the box once it's delivered. I'm missing about half the payments for this still, but I paid off the box. It should be shipping from Japan today via EMS. I'll have a tracking number as soon as it ships for anyone that would like it. It will take a week for it to arrive to my house from Japan. Once again, I am terribly sorry for the lateness on my part. If anyone needs to get ahold of me you can always email my whalesales AT aol DOT com or IM me at himynameislph. I'd prefer to hammer things out over these instead of IM due to the shoddy PM system LJ has. Each charm is $3 + shipping. + $2.5 for an additional one. The size of charm is tiny, about 1.5 cm tall. First, what could this be…? 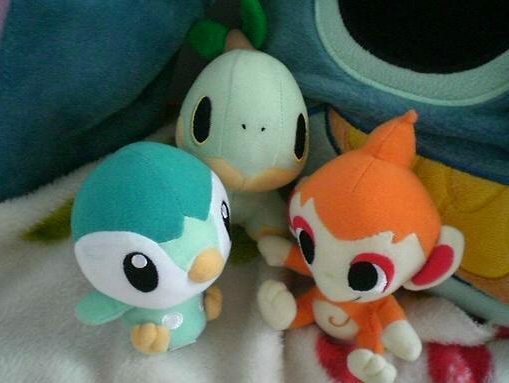 A three-pack of Jakks Unova starter plushies! This is yet another gift courtesy of my friend Amber! We share a deep love of Pokemon, and she knows how much I’m enjoying Pokemon Black version. I would have just been happy with Snivy, but she went above and beyond to give me all of them! They’re all super soft and cute and I want to think of fun ways to display them (they currently stay inside the box) and also fun ways to use them in cosplays and such. 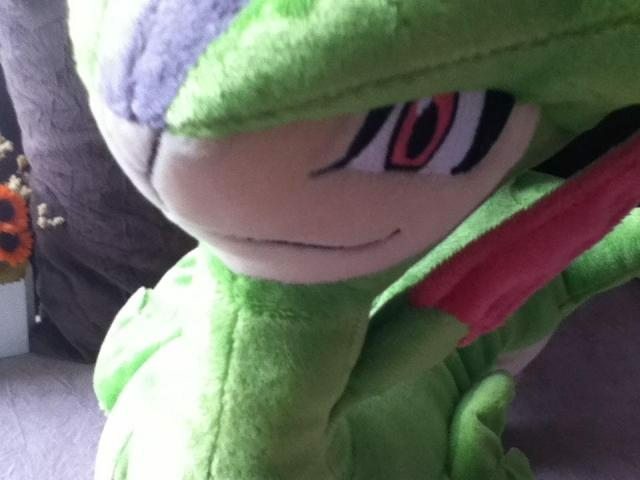 Snivy is my favourite! Her tail is a bit bent and I hope it doesn’t come off. Tepig merch has two default emotions: happy and determined. Bit strange, but it’s different and cute. Oshawott’s mouth is a little derpy, and I don’t find it as exciting as the other two, but he’s still cute. Snivy now gets to chill with her big brother! The poor snakes can’t really stand up properly, but they manage. 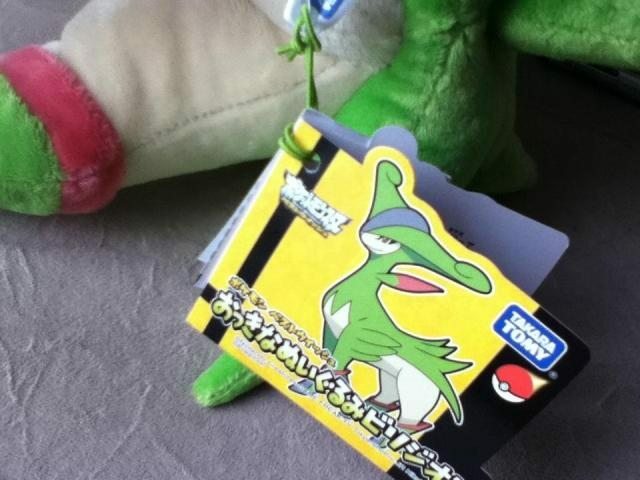 And because I can, here are the three starters with their McDonalds promo cards! Since I’m in Quebec the cards are all in French, in case you ever wanted to know their French names – Vipelierre, Gruikui, and Moustillion! I received the above before the holidays, since I went on vacation to Florida with my family for the holidays! During the trip, I got some very neat things, including a little something I’ve been after for awhile! I had a package from a member here delivered to my grandparents’ apartment in Florida, and when it arrived before me, they couldn’t figure out what it was! 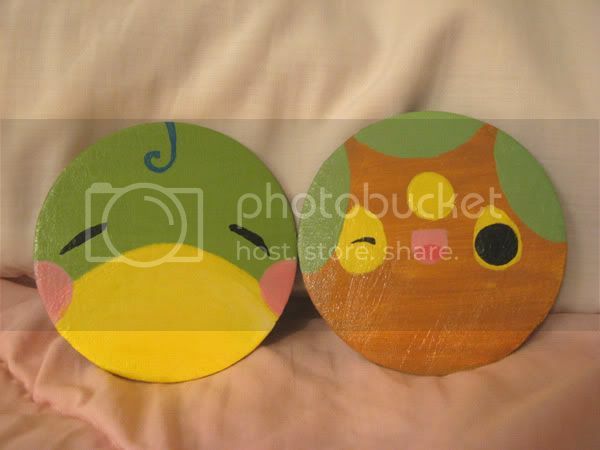 Now, many of my updates here are Poke-gifts from my good friend Amber. She is awesome! I didn’t get her anything big for Christmas, but her birthday is coming up and I know exactly what she wants. So I am looking for Glameow plushes! 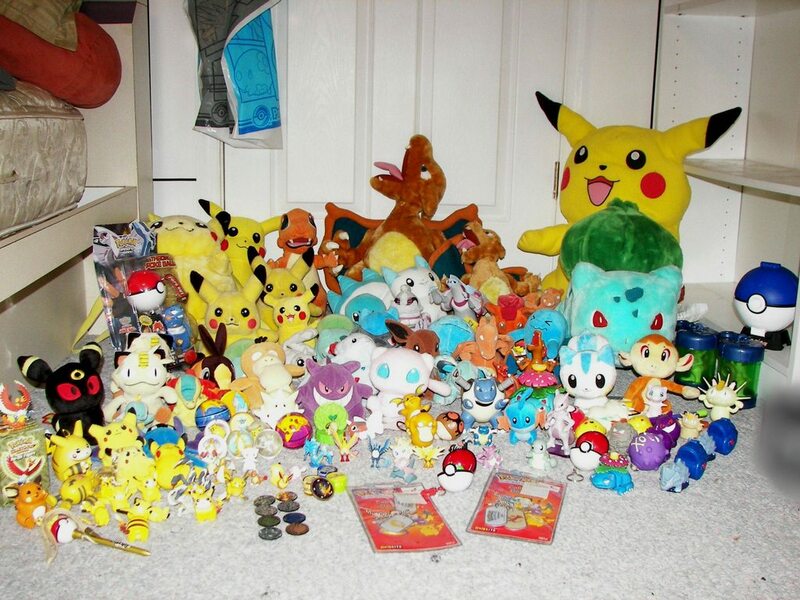 Amber currently has the Banpresto UFO Glameow, but she wants all of them. I’m willing to buy two for around $40 before shipping to Canada. I'm also interested in the Glameow Banpresto laying plush, or Halloween plush. Please let me know if you're selling! Thanks, and happy new year! Last reminder about my card auctions! I have three lots that are needing a good home! Click any picture to head to the auctions! They all end January 6th @ 6PM EST! All my Noble Victories dups including all the trainers. This is perfect to patch up your legal deck or create a new one! All my Japanese extras. Quite a bit of holos in this lot! Card range from Base set all the way to the last set before B/W! My number-one Pokémon is Staraptor, with Scyther coming an extremely close second. I'm hoping to add as much Staraptor-related paraphernalia to my hoard - as of yet I only possess the Banpresto UFO 6" plush, which has been aptly-named Dumpyraptor. I have caught very sparse, occasional glimpses of a much larger Staraptor that seems to be a DX kind of plush - if anyone has any info on that, I'd hugely appreciate it! GA Payments and Sales Time! These GAs are finally here! They are packaged up and shipping is calculated so now it is time for your final payment! Also don't forget that you have two more days to sign up for the Secret Valentine Exchange! Click the picture or click here to go to the original post. Yo! Guys i thought i'd make a quick wants post for some TCG im missing from my collection! Sorry for the long lost guys XD But please help a bro out! QUESTION! : Is there any card binders featuring any of the above Pokemon (but also including Cyndaquil, Typhlosion & Hitmonlee) I collect on binders??! The box finally popped up at my house yesterday :3,I already have everyone's weight so I just need your zip code or country if you're international <3. Let me know if there is anything else you want added to your package. wants! Kids, stamps and more! I want Emolga and Pikachu! I am also looking for a happy pachirisu kid! I also want the crouching (mouth open) ZOROARK kid! ALL BUT ZOROARK KID PURCHASED! THANK YOU!!! Well, couple of days ago I made my monthly custom plushies post with some auctions and stuff. After so many people asked, and I figured it wasn't a good idea in the first place I closed the auctions (I already talked to the person bidding). Now my post is simply a straight custom sale post. 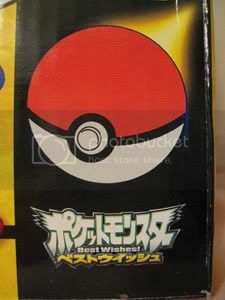 ANY pokemon can be requested as a Petit charm since the legendaries will no longer be "limited". Only a very few will have it's price raised cause of dificulty but any other will be $22 shipped anywhere. Since my old post was kind of messy, I'll keep this one instead. Im almost sure im not breaking the rules with a second post, but please let me know if I am so I can fix it somehow! I will make any kind of custom plushies in exchange of any of my wishlist items! WB Treecko Card Auction and Offer Reminder! 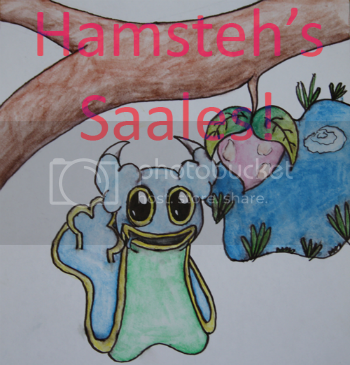 Just dropping a quick reminder that my auction for the WB Contest Treecko card and offers on my Human kids and Shaymin Strap are ending on the 7th so get your bids/offers in!